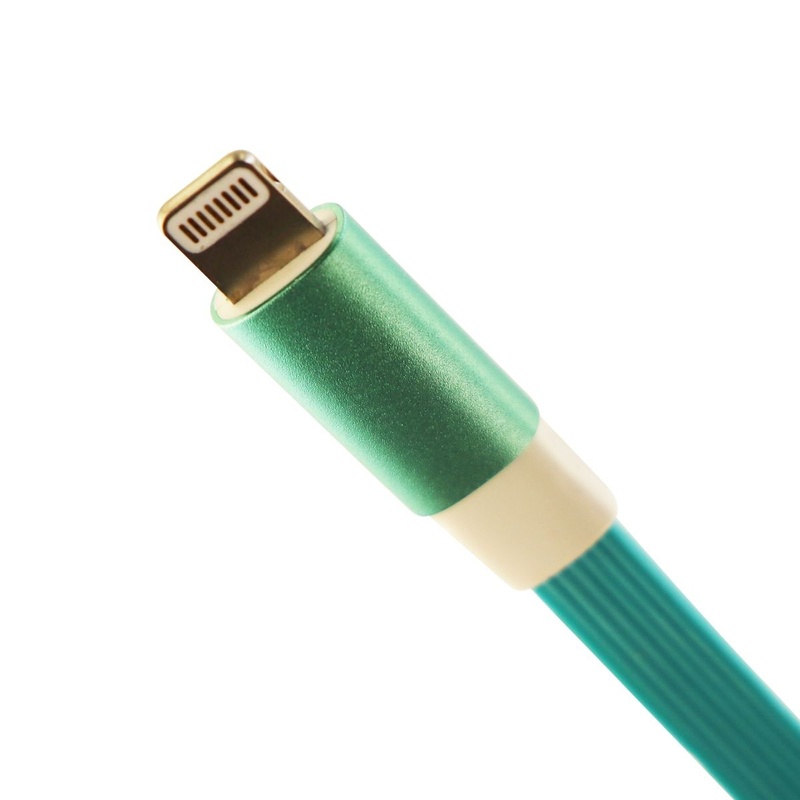 Just Wireless products, A 6-Foot Tangle Free USB to Lightning Data Sync Cable. Teal and White color design. 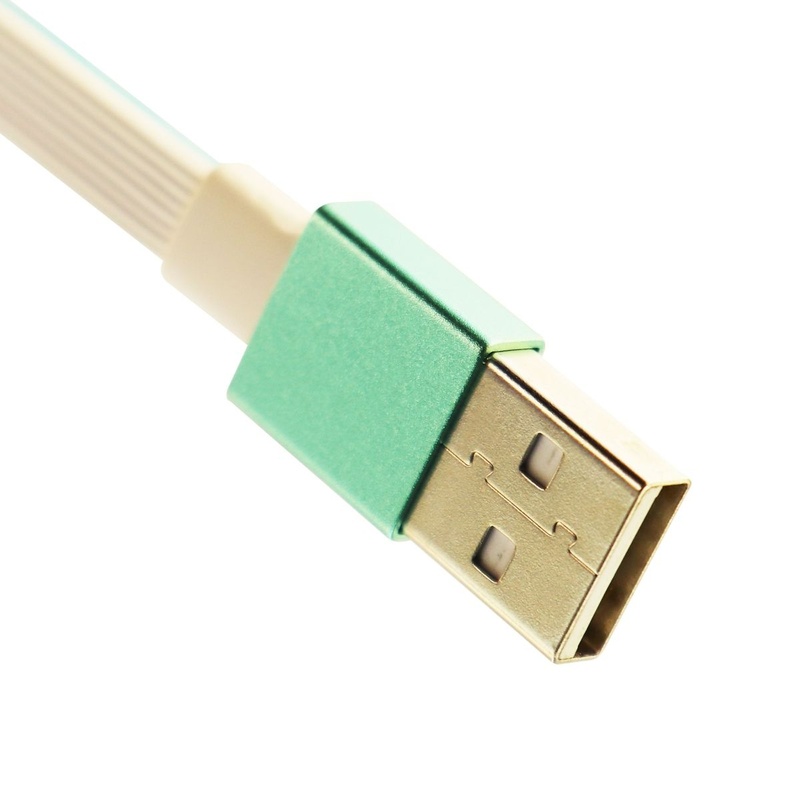 Compatible with any adapter or power source featuring a standard USB port. 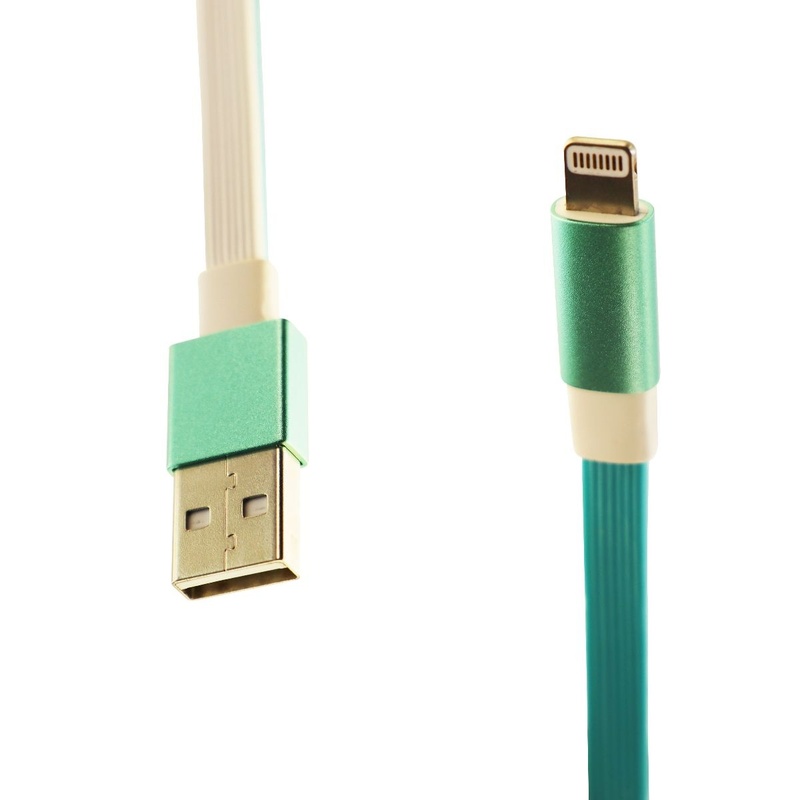 Works with any Apple device featuring a Lightning charge port.